In the present paper, on the basis of the theory of production principles and production revolutions, we reveal the interrelation between K-waves and major technological breakthroughs in history and make some predictions about features of the sixth Kondratieff wave in the light of the Cybernetic Revolution which, we think, started in the 1950s. We assume that the sixth K-wave in the 2030s and 2040s will merge with the final phase of the Cybernetic Revolution (which we call the phase of self-regulating systems). This period will be characterized by breakthroughs in medical technologies which will manage to combine many other technologies into a single complex of MBNRIC-technologies (med-bio-nano-robo-info-cognitive technologies). The article offers some predictions concerning the development of these technologies. Within the scope of the present paper we have no opportunity to dwell substantially on this theory, as well as on different views and approaches to it and the opportunities it provides (for details see Korotayev and Grinin 2012; Grinin and Korotayev 2014). But it is important to emphasize that a regular alternation of a more active economic phase with less active and depressive recessions allows making rather well-grounded predictions. Moreover, we can derive a method for the predictions from the idea introduced by Schumpeter (Schumpeter 1939) and actually Kondratiev himself (Kondratieff 2002 ) and rather widespread among the economists that such an alternation is connected with technological innovations. The idea is that during the depressive and recessionary periods the voters and businessmen's activity increases since they try to overcome the crisis through a transition to innovative technologies. But still these technologies become widely implemented only at a subsequent phase of the long wave and trigger the economic acceleration (for details see Perez 2002; Grinin 2012a; Grinin and Korotayev 2014). We also employ the Long waves theory since at present only within this approach its followers seem to base their technology predictions on a solid methodological background and proceed from the assumption that every subsequent Kondratieff long wave is correlated to a respective new technological mode (see e.g., Аkayev 2012; Glazyev 2009; Perez 2002; Lynch 2004; Dator 2006; Hirooka 2006; Nefiodow L. and Nefiodow S. 2014a, 2014b; Korotayev and Grinin 2012). Another theory we employ is the theory of production revolutions and productive principles which is based on the account of considerable technological transformations in the world historical process. It is rather fruitful with respect to making certain predictions. We have elaborated this theory in our other works (see, e.g., Grinin 2006, 2007a, 2007b, 2012b; Grinin L. and Grinin A. 2013a, 2013b, 2014, 2015; Grinin A. and Grinin L. 2015a, 2015b; Grinin and Korotayev 2015a; for details on the tight connection with the theory of long waves and cycles see Grinin 2012a, 2013). According to our theory (Grinin 2007a, 2007b, 2012b, 2013; Grinin and Grinin 2013a, 2013b; Grinin A. and Grinin L. 2015a, 2015b), the whole historical process can be most appropriately divided into four large periods, on the basis of the change of major developmental stages of the world productive forces, which we call production principles. The production principle is a concept which designates very large qualitative stages of development of the world productive forces in the historical process. It is a system of the unknown before forms of production and technologies surpassing the previous ones fundamentally (in opportunities, scales, productivity, efficiency, product nomenclature, etc.). Structural model of production revolutions. Within the proposed theory we suggest a fundamentally new idea that each production revolution has an internal cycle of the same type and, in our opinion, includes three phases: two innovative (initial and final) and one modernization phase (Grinin L. and Grinin A. 2013a, 2013b; Grinin A. and Grinin L. 2015a, 2015b; see Fig. 1). At the initial innovative phase new advanced technologies emerge which spread in other societies and territories after a while. As a result of the final innovative phase of a production revolution the new production principle reaches its peak. Agrarian Revolution: the initial phase – the transition to primitive manual (hoe) agriculture and animal husbandry (started about 12,000–9,000 BP); the final – transition to irrigation agriculture (or plow agriculture without irrigation) (this began approximately 5.5 thousand years ago). Industrial Revolution: the initial phase starts in the fifteenth century with the development of navigation, water-powered equipment and mechanization, with qualitative growth of labor division in the manufacturing, and also other processes; the final phase – the industrial revolution of the eighteenth and the first third of the nineteenth centuries, connected with the introduction of various machines and steam energy. Cybernetic Revolution: the initial (scientific and information) phase dated back to the 1950–1990s. The breakthrough occurred in automation, energy production, synthetic materials, space technologies, exploration of space and sea, and agriculture. But especially in creation of electronic control facilities, communication and information. The final innovative phase (of self-regulating systems) will begin in the 2030s or 2040s and will last till the 2060s or 2070s. 4. The phase of maturity and expansion of the production principle. The wide geographic and sectoral diffusion of new technologies brings the production principle to mature forms, as well as transformations in social and economic spheres. Note: Figures before the brackets – absolute scale (BP), figures in the brackets – BCE. Chronology in the table is simplified (a more detailed chronology see in Grinin 2006; Grinin and Korotayev 2013). The duration of phases (in thousand years) is marked by the bold-face type. Duration of phases of the scientific-cybernetic production principle is hypothetical. The duration of the scientific-cybernetic production principle is also given in Fig. 3. As is clear, the scientific-cybernetic production principle is at the beginning of its development. Only its first phase finished, and in the mid-1990s the second started. The second phase is proceeding now and will last till the early 2030s. The third phase is likely to begin approximately in the 2030s or the 2040s. At this particular time the final phase of the Cybernetic Revolution should start. The end of the scientific-cybernetic production principle will fall on the early twenty-second century (for more details see Grinin 2006). Note: The dashed line depicts one of the scenarios of expected development of the scientific-cybernetic production principle and corresponds to the dates before the slash in the bottom row in Table 1. We have established a close correlation between production principle cycles and Kondratieff cycles (for more details see Grinin 2012a, 2013). Taking into account that K-waves arose only at a certain level of economic development of societies, we can consider K-waves as a specific mechanism connected with the emergence and development of the industrial-trade production principle and the way of expanded reproduction of industrial economy. Given that each new K-wave does not just repeat the wave motion, but is based on a new technological mode, K-waves in a certain aspect can be treated as phases of the development of the industrial production principle and the first phases of development of the scientific-cybernetic production principle. In the mentioned articles (Grinin 2012a, 2013) it has been shown that the first three K-waves are connected with the industrial production principle. The special attention is paid to the correlation between the duration of the industrial production principle phases and the duration of K-wave phases. Certainly, there can be no direct duration equivalence of both K-waves and their phases, on the one hand, and the industrial production principle phases, on the other, due to the different duration of the industrial production principle phases (that is within the principle of production's cycle its phases differ in duration, but their duration proportions remain the same in each production principle [Grinin 2006]). However, we have succeeded in establishing a more complex ratio according to which at the average one K-wave corresponds to one phase of the industrial production principle. In general, we found out that three and a half waves coincide with three and a half phases of the industrial principle of production! It is clearly seen in Table 2. Such a correlation is not coincidental, as innovative development of the industrial production principle is realized through long Kondratieff cycles which are largely defined by large-scale innovations. The production revolution which began in the 1950s and is still in process and it causes powerful acceleration of scientific and technological progress. Taking into account expected changes in the next 50 years, this revolution deserves to be called ‘Cybernetic’ (see our explanation below). The initial phase of this revolution (the 1950s – the 1990s) can be referred to as a scientific-informational as it was characterized by the transition to scientific methods of planning, forecasting, marketing, logistics, production managements, distribution and circulation of resources, and communication. The most radical changes took place in the sphere of informatics and information technologies. The final phase will begin approximately in the 2030s or the 2040s and will last until the 2070s. We called this phase a ‘phase of self-regulating systems’ (see below). Now we are in the intermediate (modernization) phase which will last until the 2030s. 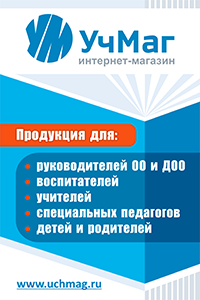 It is characterized by powerful improvement and diffusion of innovations made at the initial phase in particular by a wide proliferation of easy-to-handle computers, means of communication, and formation of macrosector of services among which information and financial services took the major place. At the same time the innovations necessary to start the final phase of the Cybernetic Revolution are being prepared. Peculiarities of the fourth K-wave in connection with the beginning of the Cybernetic Revolution. The fourth K-wave (the second half of the 1940s – 1980s) fell on the initial phase of the Cybernetic Revolution. The beginning of a new production revolution is a special period which is connected with the fast transition to a more advanced technological component of economy. All accumulated innovations and a large number of new innovations generate a new system that has a real synergetic effect. It would appear reasonable that an upward phase of the K-wave coinciding with the beginning of a production revolution can appear more powerful than A-phases of other K-waves.5 That was the feature of the upswing A-phase of the fourth K-wave (1947–1974) which coincided with the scientific-information phase of the Cybernetic Revolution. As a result a denser than usual cluster of innovations (in comparison with the second, third and fifth waves) was formed during that period. All this also explains why in the 1950s and 1960s the economic growth rates of the World System were higher, than in A-phases of the third and fifth K-waves. The downward phase of the fourth K-wave (the 1970s – 1980s) in its turn also fell on the last period of the initial phase of the Cybernetic Revolution. This explains in many respects why this downswing phase was shorter than those of the other K-waves. As is known, among researchers there is no agreement about periodization of the Kondratieff waves (about this see Korotayev and Grinin 2012). We believe that at present we witness the downward phase of the fifth K-wave which will last till the early or the mid-2020s. However, for example, Leo Nefiodow in his works (Nefiodow 1996; Nefiodow and Nefiodow 2014) argues that the sixth K-wave began in the late 1990s. Thus, according to Nefiodow's logic, now we observe an upward phase (however, the crisis of 2008–2014 and prospects for the next years contradict this), and in the 2020s the downward phase should come. As a result, the opportunity to control various natural, social and production processes without direct human intervention (that is impossible or extremely limited now) will increase. At the fourth phase (of maturity and expansion) of the scientific cybernetic production principle (the 2070s and 2080s) the achievements of the Cybernetic Revolution will become quite systemic and wide-scale in its final phase. Below we single out the most important characteristics of the Cybernetic Revolution. One can observe them today, but they will realize in mature and mass forms only in the future. These features are closely interconnected and corroborating each other (for more details see Grinin L. and Grinin A. 2013a, 2013b; Grinin A. and Grinin L. 2015a, 2015b). 7. Individualization as one of the most important technological trends. 5. A large-scale synthesis of the materials and characteristics of the systems of different nature (e.g., of animate and inanimate nature). 7. The self-regulating systems (see below) will become the major part of technological process. That is the reason why the final (forthcoming) phase of the Cybernetic Revolution can be called the epoch of self-regulating systems (see below). The drivers of the final phase of the Cybernetic Revolution will be medicine, bio- and nanotechnologies, robotics, IT, cognitive sciences, which will together form a sophisticated system of self-regulating production. We can denote this complex as MBNRIC-technologies. As is known, there is the widely used abbreviation of NBIC-technology (or convergence), that is nano-, bio-, information and cognitive technologies (see Lynch 2004; Dator 2006; Akayev 2012). However, we believe that this complex will be larger. It should be noted that Leo Nefiodow has been writing about medicine as the leading technology of the sixth Kondratieff wave for a long time (Nefiodow 1996; Nefiodow and Nefiodow 2014c). In general, we support his approaches (including the ideas about a new type of medicine), but it is important to point out that Nefiodow believes that it is biotechnologies that will become an integrated core of a new mode. However, we suppose that the leading role of biotechnologies will be, first of all, in their possibility to solve the major medical problems.11 That is why, it makes sense to speak about medicine as the core of a new technological paradigm. Besides, Nefiodow practically does not mention nanotechnology that will be of great importance in terms of the development of biotechnologies and medicine (they are supposed to play a crucial role in the fight against cancer; at the same time nanotechnologies will play a crucial role in other spheres too, in particular in energy and resources saving). It is difficult to agree with his opinion that psychosocial health, which, in his opinion, cover not only psychothera­peutic, psychological and psychiatric services, but also numerous measures of people's health improvement that is capable to reduce, in his terms, social entropy, will be the second leading mode. The problems of this social entropy which he points out (corruption, growth of small and large crime, drug addiction, loss of moral guide, divorces, growth of violence, etc.) have always existed in society; many of them even had a greater share than today. Social changes can be really extremely important for creation of starting conditions for a long-term upswing and its keeping (for more details see Grinin and Korotayev 2014). However, it is production and/or commercial technologies that represent the driving force of the K-Waves upward phases. Fig. 4. Predictable increase in the number of people aged 65+, estimated for 1950–2015 and projected to 2050. Source: UN Population Division 2015; calculated in Grinin and Korotayev 2015b. Fig. 5. Predictable increase in the number of people aged 80+, estimated for 1950–2015 and projected to 2075. Surgery. Robots have become widely used in surgeries (see Fig. 6). The da Vinci robot has become especially popular. In the future, an increasing number of surgical operations will be performed with less involvement of professionals. Many simple surgeries will need no human participation at all. A different scenario. The final phase of the Cybernetic Revolution can begin later – not in the 2030s, but in the 2040s. In this case the A-phase of the sixth wave will terminate before the beginning of the regulating systems revolution; therefore, it will not be based on fundamentally new technologies and will not become so powerful as is supposed in the previous scenario. The final phase of the Cybernetic Revolution in this case will coincide with the B-phase of the sixth wave (as it was the case with the zero wave during the Industrial Revolution, 1760–1787) and at the A-phase of the seventh wave. In this case the emergence of the seventh wave is highly possible. The B-phase of the sixth wave should be rather short due to the emergence of a new generation of technologies, and the A-phase of the seventh wave – rather long and powerful. The sixth K-wave (about 2020 – the 2060/70s), like the first K-wave, will proceed generally during completion of the production revolution. However, there is an important difference. During the first K-wave the duration of the one phase of the industrial production principle significantly exceeded the duration of the whole K-wave. But now one phase of the K-wave will exceed the duration of one phase of production principle. This alone should essentially modify the course of the sixth K-wave; the seventh wave will be feebly expressed or will not occur at all (on the possibility of the other variant see above). Such a forecast is based also on the fact that the end of the Cybernetic Revolution and distribution of its results will promote integration of the World System and considerably increasing influence of new universal regulation mechanisms. It is quite reasonable, considering the fact that the coming final phase of the revolution will be the revolution of the regulating systems. Thus, the management of the economy should reach a new level. Thus, the K-waves appear at a certain stage of social evolution and are likely to disappear at its certain stage. * This research has been supported by the Russian Science Foundation (Project No 15-18-30063). 1 For example, in the modernization phase of the Agrarian Revolution local varieties of plants and breeds of animals borrowed from other places were created. 2 We took as the beginning a zero K-wave which downward phase coincided with the beginning of the Industrial Revolution, i.e. the 1760s (as we know, it is downward phases that are especially rich in innovations). 3 The reason for the shorter duration is the general acceleration of historical development. 4 During the table compiling we took into account ideas and works cohering with the theories which explain the nature and pulsation of K-waves by changing of technological ways and/or techno-economic paradigms: Mensch 1979; Kleinknecht 1981, 1987; Dickson 1983; Dosi 1984; Freeman 1987; Tylecote 1992; Glazyev 1993; Mayevsky 1997; Modelski and Thompson 1996; Modelski 2001, 2006; Yakovets 2001; Freeman and Louçã 2001; Ayres 2006; Kleinknecht and van der Panne 2006; Dator 2006; Hirooka 2006; Papenhausen 2008; see also Lazurenko 1992; Glazyev 2009; Polterovich 2009; Perez 2002. 5 Therefore, it appears reasonable that A-phase of the sixth K-wave can also make a great progress, as it will coincide with the beginning of the Cybernetic Revolution final phase. Thus, the sixth wave is to have a stronger manifestation than the fifth one. We will return to this point below. 6 Even now this market is growing rapidly, and in the future it will run up to hundreds billion dollars. 8 For example, the control of human insufficient attention in order to prevent dangerous situations (e.g., in transport) as well as to prevent human beings from using means of high-risk in unlawful or disease state (e.g., not allow driving a motor vehicle while under the influence of alcohol or drugs). 9 During the Industrial Epoch these elements existed separately: technologies were preserved on paper or in engineers' minds. At present, thanks to informational and other technologies the technological constituent fulfils the managing function. And this facilitates the path to the epoch of self-regulating systems. 10 Thus, for example, the resource and energy saving can be carried out via choosing optimal modes by the autonomous systems that fulfil specific goals and tasks and vice versa, the choice of an optimum mode will depend on the level of energy and materials consumption, and a consumer's budget. Or, the opportunities of self-regulation will allow choosing a particular decision for the variety of individual tasks, orders and requests (e.g., with 3D printers and choosing of an individual program as the optimal one). 11 We agree with Nefiodow that it is also necessary to include in this complex food, pharmaceutics and ecology (see Grinin and Grinin 2013a, 2013b). 12 One should note that these forecasts are made basing on the ratchet-effect scenario from the UN, the dramatic changes in medical technologies can rather considerably increase the number of elderly and old people. Akayev, A. A. 2012. Mathematical Foundations of Schumpeter–Kondratieff' Theory of Innovative Cycles in Economic Development. In Akayev, A. A., Grinberg, R. S., Grinin, L. E., Korotayev, A. V., Malkov, S. Yu. (eds. ), Kondratieff Waves: Aspects and Perspectives (pp. 110–135). Volgograd: Uchitel. In Russian (Акаев А. А. Математические основы инновационно-циклической теории экономического развития Шумпетера – Кондратьева. Кондратьевские волны: аспекты и перспективы / Ред. А. А. Акаев, Р. С. Гринберг, Л. Е. Гринин, А. В. Коротаев, С. Ю. Малков, с. 110–135. Волгоград: Учитель). Ashby, R. 1956. An Introduction to Cybernetics. London: Chapman and Hall. Ayres, R. U. 2006. Did the Fifth K-Wave Begin in 1990–92? Has it been Aborted by Globalization? In Devezas, T. C. (ed. ), Kondratieff Waves, Warfare and World Security (pp. 57–71). Amsterdam: IOS Press. Brener, R. 2006. The Economics of Global Turbulence. The Advanced Capitalist Economies from Long Boom to Long Downturn, 1945–2005. London – New York: Verso. Dator, J. 2006. Alternative Futures for K-Waves. In Devezas, T. C. (ed. ), Kondratieff Waves, Warfare and World Security (pp. 311–317). Amsterdam: IOS Press. Dickson, D. 1983. Technology and Cycles of Boom and Bust. Science 219(4587): 933–936. Dosi, G. 1984. Technical Change and Industrial Transformation. New York: St. Martin's Press. Foerster, H. von, and Zopf, G. (Eds.) 1962. Principles of Self-organization. New York: Pergamon Press. Freeman, C. 1987. Technical Innovation, Diffusion, and Long Cycles of Economic Develop­ment. In Vasko, T. (ed. ), The Long-Wave Debate (pp. 295–309). Berlin: Springer. Freeman, C., and Louçã, F. 2001. As Time Goes By: From the Industrial Revolutions to the Information Revolution. Oxford: Oxford University Press. Glazyev, S. Yu. 1993. Theory of the Long-term Techno-Economic Development. Moscow: VlaDar. In Russian (Глазьев С. Ю. Теория долгосрочного технико-экономического развития. М.: ВлаДар). Glazyev, S. Yu. 2009. The World Economic Crisis as a Process of Changing Technological Modes. Voprosy ekonomiki 3: 26–32. In Russian (Глазьев С. Ю. Мировой экономический кризис как процесс смены технологических укладов. Вопросы экономики 3: 26–32). Grinin, A. L., and Grinin, L. E. 2015a. Cybernetic Revolution and Forthcoming Technological Transformations (The Development of the Leading Technologies in the Light of the Theory of Production Revolutions). In Grinin L. E., and Korotayev A. V. (eds. ), Evolution: From Big Bang to Nanorobots (pp. 251–330). Volgograd: ‘Uchitel’ Publishing House. Grinin, A. L., and Grinin, L. E. 2015b. The Cybernetic Revolution and Historical Process. Social Evolution & History 14(1): 125–184. Grinin, L. E. 2006. Periodization of History: A Theoretic-Mathematical Analysis. In Gri-nin, L. E., de Munck, V., and Korotayev, A. V. (eds. ), History & Mathematics: Analyzing and Modeling Global Development (pp. 10–38). Moscow: KomKniga. Grinin, L. E. 2007a. Production Revolutions and Periodization of History: A Comparative and Theoretic-Mathematical Approach. Social Evolution & History 6(2): 75–120. Grinin, L. E. 2007b. Production Revolutions and the Periodization of History. Herald of the Russian Academy of Sciences 77(2): 150–156. Grinin, L. E. 2012a. Kondratieff Waves, Technological Modes and the Theory of Production Revolutions. In Akayev, A. A., Grinberg, R. S., Grinin, L. E., Korotayev, A. V., and Malkov, S. Yu. (eds. ), Kondratieff Waves: Aspects and Perspectives (pp. 222–262). Volgograd: Uchitel. In Russian (Гринин Л. Е. Кондратьевские волны, технологические уклады и теория производственных революций. Кондратьевские волны: аспекты и перспективы / Ред. А. А. Акаев, Р. С. Гринберг, Л. Е. Гринин, А. В. Коротаев, С. Ю. Малков, с. 222–262. Волгоград: Учитель). Grinin, L. E. 2012b. Macrohistory and Globalization. Volgograd: Uchitel. Grinin, L. E. 2013. The Dynamics of Kondratieff Waves in the Light of the Production Revolutions Theory. In Grinin, L. E., Korotayev, A. V., and Malkov, S. Yu. (eds. ), Kondratieff Waves: The Spectrum of Ideas (pp. 31–83). Volgograd: Uchitel. In Russian (Гринин Л. Е. Динамика кондратьевских волн в свете теории производственных революций. Кондратьевские волны: Палитра взглядов / Отв. ред. Л. Е. Гринин, А. В. Ко-ротаев, С. Ю. Малков, с. 31–83. Волгоград: Учитель). Grinin, L. E., and Grinin, A. L. 2013a. Global Technological Transformations. In Grinin, L. E., Ilyin, I. V., and Korotayev, A. V. (eds. ), Globalistics and Globalization Studies: Theories, Research & Teaching (pp. 98–128). Volgograd: Uchitel. Grinin, L. E., and Grinin, A. L. 2013b. Macroevolution of Technology. In Grinin, L. E., Korotayev A. V. (eds. ), Evolution: Development within Big History, Evolutionary and World-System Paradigms (pp. 143–178). Volgograd: Uchitel. Grinin, L. E., and Grinin, A. L. 2014. The Sixth Kondratieff Wave and the Cybernetic Revolution. In Grinin, L.d E., Devezas, T. C., and Korotayev, A. V. (eds. ), Kondratieff Waves. Juglar – Kuznets – Kondratieff. Yearbook (pp. 354–378). Volgograd: ‘Uchitel’ Publishing House. Grinin L. Е., and Grinin, A. L. 2015. The Cybernetic Revolution and the Sixth Kondratieff Wave. In Grinin L. E., Korotayev, A. V., and Bondarenko, V. M. (eds. ), Kondratieff Waves: Heritage and Modernity (pp. 83–106). Volgograd: Uchitel. In Russian (Гринин Л. Е., Гринин А. Л. Кибернетическая революция и шестой технологический уклад. Кондратьевские волны: наследие и современность: ежегодник / Отв. ред. Л. Е. Гринин, А. В. Коротаев, В. М. Бондаренко, c. 83–106. Волгоград: Учитель). Grinin, L. E., and Korotayev, A. V. 2013. Social Macroevolution: The Genesis and Transformation of the World-System. 2nd ed. Moscow: LIBROCOM. In Russian (Гринин Л. Е., Коротаев А. В. Социальная макроэволюция: генезис и трансформация Мир-Системы. 2-е изд. М.: Либроком). Grinin, L. E., and Korotayev, A. V. 2014. Interaction between Kondratieff Waves and Juglar Cycles. In Grinin, L. E., Devezas, T. C., and Korotayev, A. V. (eds. ), Kondratieff Waves. Juglar – Kuznets – Kondratieff. Yearbook (pp. 25–95). Volgograd: ‘Uchitel’ Publishing House. Grinin, L. E., and Korotayev, A. V. 2015a. Great Divergence and Great Convergence. A Global Perspective. Springer International Publishing. Grinin, L. E., and Korotayev, A. V. 2015b. Global Population Ageing, the Sixth Kondratieff Wave, and the Global Financial System. In Goldstone, J., Grinin, L., and Korotayev, A. V. (eds. ), History & Mathematics: Political Demography & Global Ageing. Yearbook. Volgograd: Uchitel Publishing House. In press. Hirooka, M. 2006. Innovation Dynamism and Economic Growth. A Nonlinear Perspective. Cheltenham – Northampton: Edward Elgar. Kleinknecht, A. 1981. Innovation, Accumulation, and Crisis: Waves in Economic De­velopment? Review 4(4): 683–711. Kleinknecht, A. 1987. Innovation Patterns in Crisis and Prosperity: Schumpeter's Long Cycle Reconsidered. London: Macmillan. Kleinknecht, A., and van der Panne, G. 2006. Who Was Right? Kuznets in 1930 or Schumpeter in 1939? In T. C. Devezas (ed. ), Kondratieff Waves, Warfare and World Security (pp. 118–127). Amsterdam: IOS Press. Kondratieff N. D. 1935. The Long Wave in Economic Life. Review of Economics and Statistics. November 17(7): 105–115. Kondratieff N. D. 1984. The Long Wave Cycle. New York: Richardson & Snyder. Kondratieff N. D. 2002 . The Long Cycles of Economic Conjubcture. In Kondra- tieff, N. D., The Long Cycles of Conjubcture and the Theory of Prediction (pp. 341–400). Moscow; Ekonomika. In Russian (Кондратьев, Н. Д. Большие циклы экономической конъюнктуры. В: Кондратьев Н. Д. Большие циклы конъюнктуры и теория предвидения. Избранные труды (с. 341–400). М.: Экономика). Korotayev A. V., and Grinin, L. E. 2012. Kondratieff Waves in the World System Perspective. In Grinin, L. E., Devezas, T. C. and Korotayev, A. V. (eds. ), Kondratieff Waves. Dimensions and Prospects at the Dawn of the 21st Century. Yearbook (pp. 23–64). Volgograd: Uchitel. Lazurenko, S. 1992. The Problems of Long-Term Oscillations of Economic Dynamics. Voprosy ekonomiki 10: 69–75. In Russian (Лазуренко С. Проблемы долговременных колебаний экономической динамики. Вопросы экономики 10: 69–75). Maddison, A. 2007. Contours of the World Economy, 1–2030. Oxford: Oxford University Press. Mayevsky, V. I. 1997. Basics of Evolutionary Macroeconomics. Moscow: Yaponiya segodnya. In Russian (Маевский В. И. Введение в эволюционную макроэкономику. М.: Япония сегодня). Mensch, G. 1979. Stalemate in Technology – Innovations Overcome the Depression. New York: Bal­linger. Modelski, G. 2001. What Causes K-waves? Technological Forecasting and Social Change 68: 75–80. Modelski, G. 2006. Global Political Evolution, Long Cycles, and K-Waves. In Devezas, T. C. (ed. ), Kondratieff Waves, Warfare and World Security (pp. 293–302). Amsterdam: IOS Press. Modelski, G., and Thompson, W. R. 1996. Leading Sectors and World Politics: The Coevolution of Global Politics and Economics. Columbia, SC: University of South Carolina Press. Nefiodow, L. 1996. Der sechste Kondratieff. Wege zur Produktivität und Vollbeschäftigung im Zeitalter der Information. 1 Auflage/Edition. Rhein-Sieg-Verlag: Sankt Augustin. Nefiodow, L., and Nefiodow, S. 2014a. The Sixth Kondratieff. The New Long Wave of the World Economy. Rhein-Sieg-Verlag: Sankt Augustin. Nefiodow, L., and Nefiodow, S. 2014b. Criteria to Identify and Predict a Kondratieff Cycle (in print). Nefiodow, L., and Nefiodow, S. 2014c. The Sixth Kondratieff. The Growth Engine of the 21st Century. In Grinin, L. E., Devezas, T., and Korotayev, A. V. (eds. ), Kondratieff Waves: Juglar – Kuznets – Kondratieff (pp. 326–353). Volgograd: Uchitel. Pinkerton, S. 2013. The Pros and Cons of Robotic Surgery. The Wall Street Journal November, 17. URL: http://www.wsj.com/articles/SB1000142405270230465510457916 3430371597334. Polterovich, V. 2009. Hypothesis about Innovative Pause and the Strategy of Modernization. Voprosy ekonomiki 6: 4–23. In Russian (Полтерович В. Гипотеза об инновационной паузе и стратегия модернизации. Вопросы экономики 6: 4–23). Schumpeter, J. A. 1939. Business Cycles. New York, NY: McGraw-Hill. Tesler, G. S. 2004. New Cybernetics. Kiev: Logos. In Russian (Теслер Г. С. Новая кибернетика. Киев: Логос). Tylecote, A. 1992. The Long Wave in the World Economy. London: Routledge. Umpleby, S. A., and Dent, E. B. 1999. The Origins and Purposes of Several Traditions in Systems Theory and Cybernetics. Cybernetics and Systems: An International Journal 30: 79–103. Wiener, N. 1948. Cybernetics, or Control and Communication in the Animal and the Machine. Cambridge: MIT Press. Yakovets, Yu. V. 2001. Heritage of N. D. Kondratieff: A View from the 21st Century. Moscow: MFK. In Russian (Яковец Ю. В. Наследие Н. Д. Кондратьева: взгляд из XXI века. М.: МФК).